Hello friends! I’m back from a short blogging hiatus to tell you about a fun new zombie book perfect for the season! 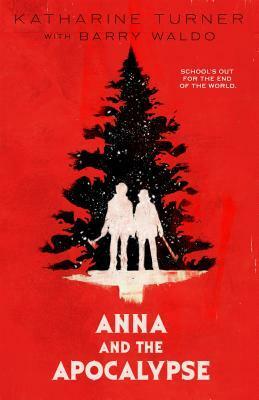 Anna and the Apocalypse by Katharine Turner & Barry Waldo is a hilarious musical horror mashup. Though I haven’t quite finished the book, I can tell you from first impressions it’s going to be FUN. I love when horror mixes humor to make the blood and guts a little more tolerable, and this book does just that. But it also touches on the real struggles of being a teen in a small town when all you want to do is get out and see the world. Synopsis: School’s out for the end of the world. Thank you so much to Fierce Reads for sending me a copy of Anna and the Apocalypse for this blog tour!